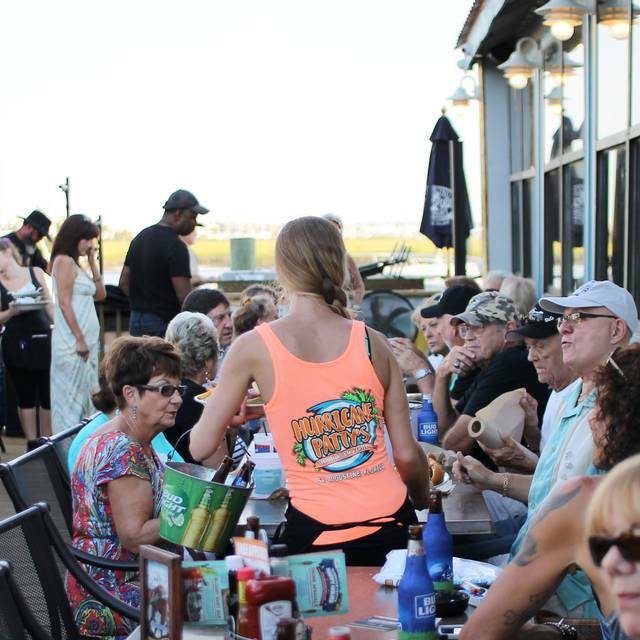 Waterfront restaurant with freshly prepared cuisine and signature cocktails - welcome to Hurricane Patty"s Bar and Grill, located in St Augustine, FL. Here you’ll find a fresh, colorful and fun restaurant experience inspired by the islands. Whether navigation from the waterways or a local landlubber, with guidance from our warm and welcoming staff our guests discover the bold flavors and vibrant cultures of the tropics. Our approachable menu features fresh seafood and grilled meats, world reknown appetizers and freshly prepared sauces. 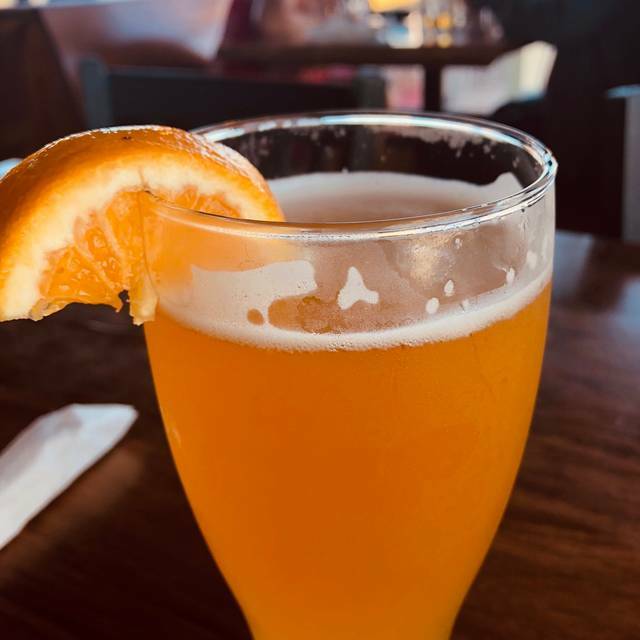 We feature great daily specials, and live music or daily entertainment. 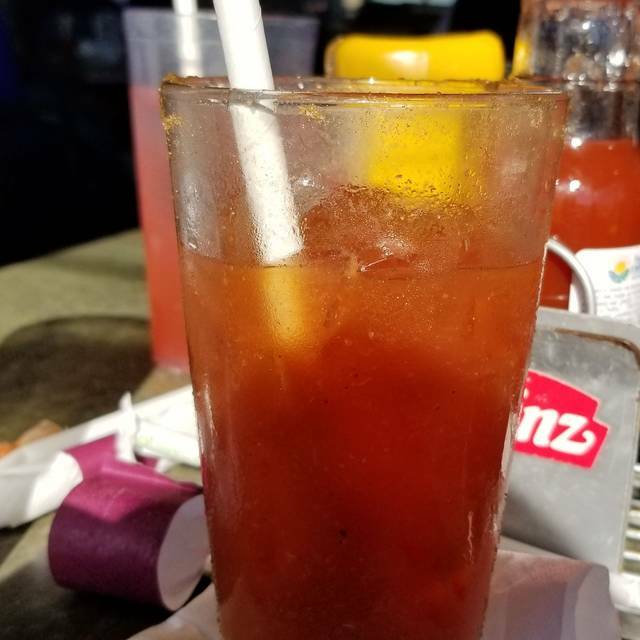 Sit back and enjoy a wide array of signature drinks, including our award winning Datil Smoothie and world infamous Hurricane Category 5 Cocktail! A local favorite. Make'em battered or grilled. Feel free to mix and match sauces to create your own unique flavors. Served with 1 dip, celery & carrot sticks. Served with 2 dips, celery & carrot sticks. Served with 3 dips, celery & carrot sticks. 5 dips, celery & carrot sticks. Served with lemon, horseradish, cocktail sauce & (when steamed) melted butter. 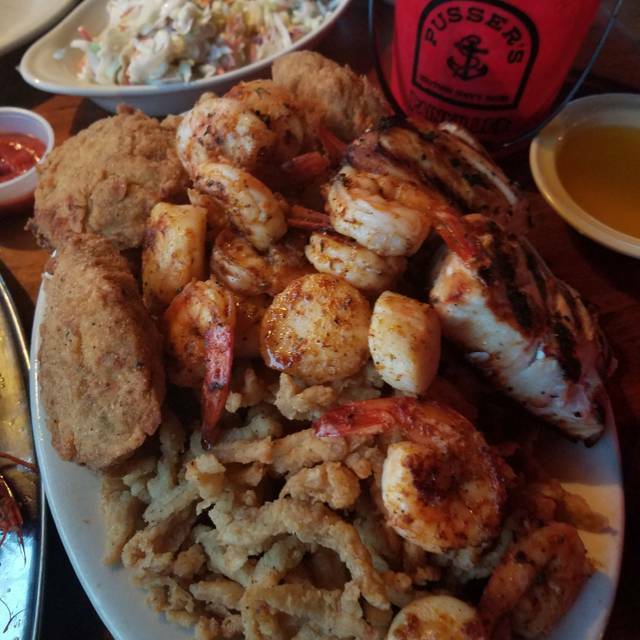 A variety platter of fresh shrimp, crablegs, crawfish, mussels, and clams. Begin your meal with one of our delicious appetizers, generous enough to share. Lightly breaded, cooked crisp and served with our homemade marinara sauce. Lightly battered and fried with zesty dipping sauce. Smothered with cheese, bacon and scallions. Thick sliced onion rings, coated with a beer batter and served golden brown with Cajun ranch sauce. Diced filet of shark lightly breaded and fried to perfection. Fresh Florida gator tail, blackened or fried and served with Cajun ranch. Filet tender cuts of steak marinated in a blend of Caribbean spices. Patty's jerked chicken on tri-colored chips with blackbeans, tomatoes, green onions, jalapenos. Served with salsa, sour cream, and Monterey Jack cheese. Traditional Hawaiian Poke with marinated diced ahi tuna, fresh greens and crispy tortilla chips. Signature house recipe of crab meat, Datil peppers, onions and tomatoes in a creamy cheese dip. Served with tri-colored tortilla chips. Voted People's Choice at the Datil Pepper Cook Off. Prepared with lump and claw crabmeat and local datil peppers. Served with homemade datil tartar sauce. Traditional Style crab cakes also available. Tubes only, thinly sliced and fried crisp. Served with marinara sauce. Sweet, fresh and crispy shrimp, tossed in a creamy chili sauce. Six large shrimp hand-battered in coconut and lightly fried. Served with pineapple chutney. Filled with chicken and cheese then topped with fresh guacamole, tomatoes, and scallions served with mango-papaya salsa. Choose between a variety of dry rubs and sauces. Served with 1 dip, celery and carrot sticks. House Made Salad Dressings: Ranch, Bleu Cheese, Thousand Island, Italian, Balsamic Vinaigrette, Datil Mango, Caesar, Hurricane Ginger, Oil & Vinegar. Flavored with andouille sausage, ham and cumin and topped with cheese, sour cream, tomatoes and scallions. Traditional New England Clam chowder, loaded with clams and potatoes. Spicy red chowder with potatoes, clams, vegetables and datil peppers. A blend of our New England and Minorcan Clam Chowders but with a whole lot more seafood! Fresh romaine lettuce mixed with our homemade caesar dressing, parmesan cheese and croutons. Served with garlic bread. Served with bleu cheese crumbles and chopped bacon and topped with our homemade guava balsamic vinaigrette. Tender white chicken meat blended with celery and fresh herbs and spices, served on a bed of baby mixed greens and vine ripe tomatoes. Crisp baby greens topped with cherry tomatoes, cucumbers, onions, croutons, and shredded cheddar jack cheese. Served with garlic bread. Seasoned shrimp and crab salad stuffed into fresh avacado. Jerk chicken, avocado, bacon, bleu cheese crumbles and tomato slices over gathered greens with your choice of dressing. Juicy chicken breast smothered in teriyaki and topped with pineapple, lettuce, tomato, and onion. Tender white chicken meat blended with celery and fresh herbs and spices. Grilled chicken breast covered in sautéed onions, peppers, and mushrooms topped with provolone cheese on a fresh hoagie. Thinly sliced steak covered in sautéed onions, peppers, and mushrooms topped with provolone cheese on a fresh hoagie. Fresh filet of Mahi cooked the way you liked. Served on a kaiser roll with lettuce, tomato, and onion. Fried grouper served on a kaiser roll with lettuce, tomato, and onion. Seared jumbo crab cake served on toasted kaiser roll with Datil tartar. Wrapped in fresh flour tortillas with red and white cabbage, tomatoes, cheese and scallions. Fried shrimp and oysters on a hoagie roll with lettuce, tomatoes, and onions. Topped with dill pickle remoulade. Sauteed onions, mushrooms and peppers, wrapped with fresh tomatoes. Served with fresh salsa. Fresh chicken cooked any way you like it. Wrapped with fresh chopped romaine lettuce, parmesan cheese and caesar dressing. Fresh shrimp cooked any way you like it wrapped with fresh chopped romaine lettuce, parmesan cheese and caesar dressing. Thinly sliced marinated steak, wrapped with artisan lettuce, tomatoes and scallions. Served with fresh salsa. Crab and shrimp salad with lettuce, tomato, and scallion in a flour tortilla wrap. Choice of American, Swiss, Cheddar or Jack. Choice of cheese and maple smoked thick slice bacon. Covered with grilled onions, melted American cheese, on buttery grilled Texas toast. Topped with our famous datil pepper sauce. Burger with an attitude, with bacon, lettuce, tomato, red onion and mayo encased in two grilled cheese sandwiches. Topped with ketchup, yellow mustard, relish and chopped onions. Topped with Patty's homemade cole slaw and spicy brown mustard. Topped with black beans, diced onions and tomatoes. Topped with grilled onions, pepper jack cheese and datil sauce. Topped with bacon, cheddar cheese and jalapeños. 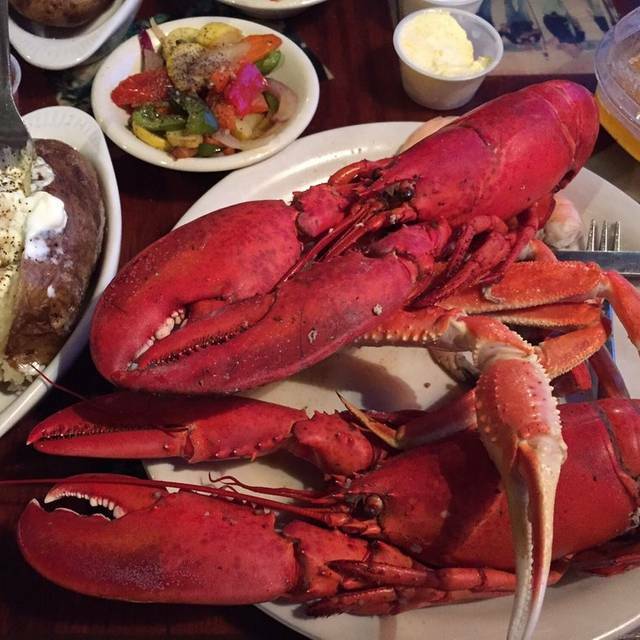 Served with one dockside or salad. Homemade creamy alfredo sauce tossed with fettuccine. Fresh cut chicken breast hand battered and fried. Grilled shrimp served over cheddar cheese grits topped with fresh scallions and bacon then drizzled with our roasted garlic red pepper cream sauce. A large fillet of North Atlantic Cod battered and deep fried. Served with French fries, slaw, tartar sauce and lemon. A hefty portion of hand breaded clam strips deep fried to perfection. 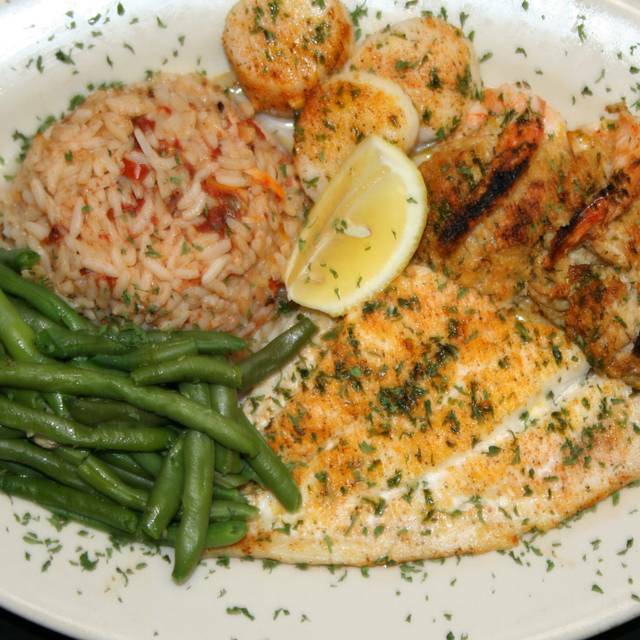 Fresh 6oz portion served fried, grilled or broiled. Fresh shrimp battered in our own special breading and fried crisped golden brown. Served with our homemade cocktail sauce. Your choice from these side items. Great fun casual atmosphere. Good reasonable food. Will go back. Great lunch! Crab cake appetizer and grilled wild caught grouper made for a fabulous meal and we were in and out in 40 minutes. Our server was very attentive and looking our over the water and Marina was like having a mini vacation in the middle of the week. 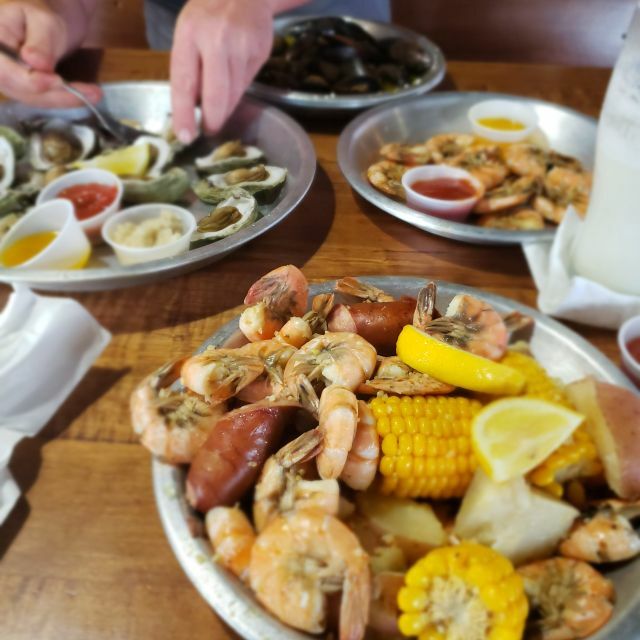 This was our first visit to Hurricane Patty's and we absolutely loved it! We had a great server, Kelly, who took great care of us. We ordered oysters on the half shell and the crab dip as starters. Simply delicious. We each had a different entree, too. The pan seared grouper was superb and each of us thoroughly enjoyed our meal. We're already planning for a return visit when we're back down in St. Augustine. Definitely give it a try. You won't be disappointed! Overall good food. Reservation wasn't fulfilled Sat at outside bar. Our service was extremely slow and we could never find our server. In fact there were a few times we hunted her down ourselves. My food was bland and yes there was an offer to make it right but after an hour wait for the first order why would I want to wait another hour? Your manager did come to the table but only 30 minutes after I told the server my food was horrible tasting and she brought me Ol Bay, it did not help at all. Had he came to the table as soon as the matter was noticed things could have went differently. Perhaps more training needs to be done in not only your serving staff but your management as well. It is also not professional for your hostesses to stand up front and noticeably talk bad about any of the potential customers that walk in the door. No matter how they felt about a long wait, your girls showed unprofessional behavior. No sense of urgency and no care for the guest. And we were very excited to come here while on our little getaway. Sad that this was the outcome. The food and atmosphere were great. And the waitress was helpful and friendly. Unfortunately we were in a bit of a hurry and, when after sitting down for an hour the main courses still had not arrived, we had to take everything to go because we needed to be somewhere else. Really too bad as the view and food were so good but they need to work on getting meals done on a timely manner. Have been to Hurricane many times over the years and knew that they had great food. When we reserved the covered deck for friends attending daughter's wedding they proved how great their service could be. All the staff made the evening a time to remember. Food as always was great and all the staff made sure that all our needs were met. Although we have had some good experiences at Hurricane Patty’s, this one was extremely disappointing! We had 11 people together for lunch including 4 grandchildren. This was our last gathering before our son and two grandsons were flying home to Pennsylvania. While the food was as good as usual, the poor service (mostly the kitchen) really ruined the event. Other than a couple of appetizers, we did not get our meals until we were there an hour and forty-five minutes. We mentioned a couple of times during our wait that some people had to go to the airport but it had no real affect on service. To get another beer or wine generally took 10 to 15 minutes. My wife asked for another glass of ice for her wine and it never came. One of the grandsons ordered 10 wings and only received 7. His brother ordered two plates of 5 wings each, one with Caribbean jerk sauce and one plain with a honey sauce on the side. He received two orders of 5 wings both covered with Caribbean jerk sauce. We have been having these family gatherings on the day that some of the family are flying home but we will have to look for a different place so the event is a celebration rather than an aggravation. My husband and I went here for our anniversary. Great food, drinks, and the waitress was very friendly. The menu is quite limited compared to similar restaurants. The server was good, but the wait time for food was nearly one hour after order. Our food was good, but it was dampened by the fact they offer a “free” appetizer. However, the fine print explains you must print out the coupon prior to the visit. The server quickly explained this and even said he hates the policy because customers typically become angry. The food was gross. The place had a nice view but it was run down . Service was good. Fried food was ok. Crab dip was great. Drinks were bottom of the barrel. Won't go back. Chowder was outstanding there were 4 of us ever one enjoyed the food service was friendly and prompt . Various fish dishes. Crab cakes all good. Highly recommended. Took an hour for our food to arrive and it wasn’t busy when we first arrived. Kitchen staff must have been short staffed. Would like to try again when we aren’t pressed for time in case it happens again. Shrimp tacos were delicious. Views are fantastic of the Mariana and intercostal. 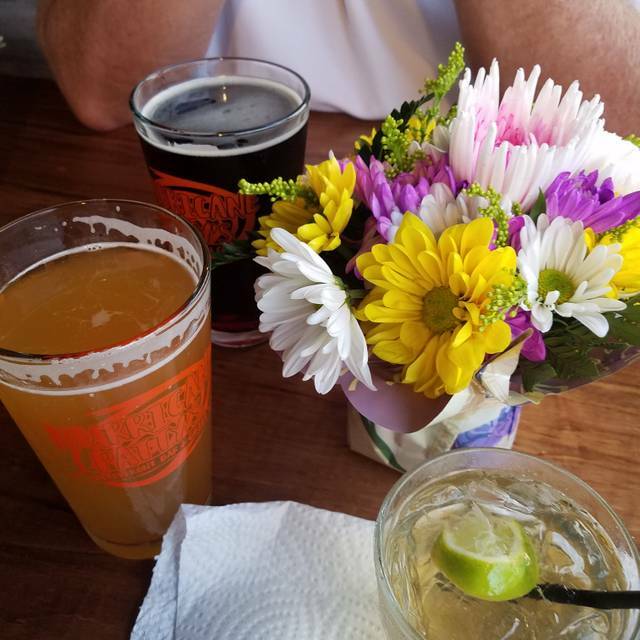 Reasonable prices and good drink selections. Good was fine nothing spectacular. We had a very nice time at Hurricane Patty’s ! Food was very good when we finally got ! Our waitress was as nice as could be but would just disappear for long periods of time. I watched our drinks sit there as she walked past many times! Took us forever to get oysters but once we got everything it was good! People were being served around us quickly so it wasn’t the kitchen! Lol Probably would go again next year. Fun atmosphere! One of the most horrible overall experiences I have ever had and they made excuses. To many problems to list them all. Out of food, wrong food, cold food, 1 plus hour wait for food when it wasn’t busy, gross food, server offered free drinks to make up for some of the issues and then she charged us for them on the bill. Just imagine what can go wrong with dinner and it did. Amazing staff. Loved our waitress! Food was excellent and drinks went down smooth. Wonderful experience. Seemed like all the food was purchased from Costco and reheated - we had wings, Mahi fish bites, the coconut grouper (this was actually good). The drinks were measured and disappointing. Typical waterside Beach Bar. The crawldads were great. Large varied menu. This place is rustic at best, leaning to dive bar, but the food we had was gourmet quality. I had Wahoo, my lady had cobia, and our guest couple were equally pleased with their meals. I can’t tell you what they ate because they refused to share. The music was a keyboard/vocals which was terrific fun for our party-and the singing bartender's "Harper Valley PTA" had the table singing along with gusto. Service was absolutely horrible. Had to get our own beverages and silverware. God that was originally ordered did not come and then after 20 mins were informed was no longer available. Then when replacement food arrived, it was the wrong food. Do not recommend and will never return. Dine at your own risk. We have visited Hurricane Patty's before and had a nice experience but this last visit was not so good. We waited a very long time for our food. Two tables that came after us was served before us. Our food was cold and the server got our order wrong. We liked the atmosphere and that it is more for locals but we won't be back. Rustic setting & atmosphere on the water with good crowd at bar & eating area. Good meal, fair price. How can ya make great peel and eat and mess up regular shrimp?? We went to Hurricane Patty’s over a decade ago frequently for All You Can Eat Crablegs. We just moved back into the area and wanted to go back. The food was absolutely horrible. My family if 6 are for $160 and it was the worst seafood I’ve ever had. The only nice thing about the night was the live singer RaChill with her guitar. Living in Florida we expected a nice seafood meal and would have better making fish sticks at home. Great place for drinks on the water. Food was good. 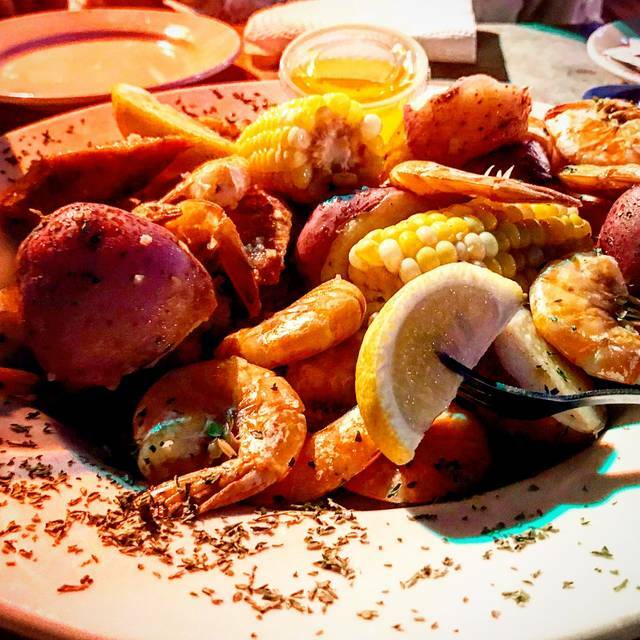 Good food and great place to view the boats in the marina!